A Small Look At This Portuguese Paradise! You’ll find everything you could ever possibly need for a beach holiday here! The Atlantic boasts waves that attract surfers all year round. The region around Lagos is particularly popular, as you’ll be able to ride spectacular waves no matter which season it is. 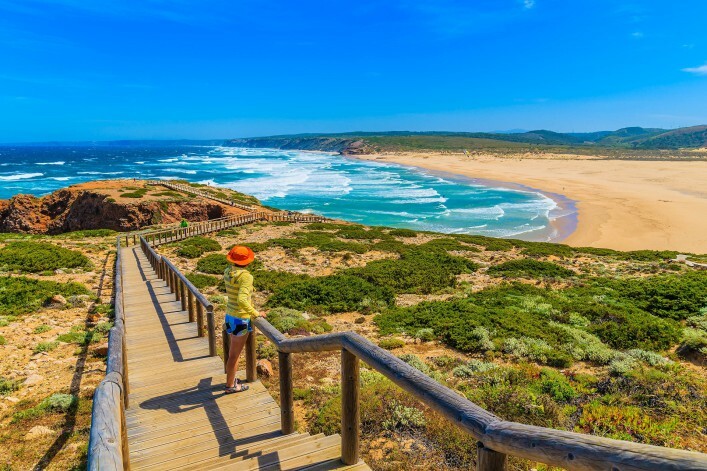 If you prefer the soft, sandy beaches, then you’re best heading to the stretch of coast between Spain and Faro. The region’s diversity attracts all sorts of adventurers and those looking to soak up plenty of sun. Whether it’s relaxation or action you require – everyone will be just as happy here! Not surprising considering this part of the world gets 300 days of sunshine a year! These are the best Algarve tips for an unforgettable holiday in paradise. The most important airport in the region is Faro Airport, where pretty much all of the flights to the region arrive at. From the airport there are various ways of getting to your hotels. Airport transfer is usually included with package holidays. If that’s not the case, then there’s always the spontaneous option of booking a transfer to your final destination on the spot. It’s not actually that expensive – for around €7.50 you’ll be able to travel from Faro to Albufeira. However I’d really recommend hiring a car. That way you’ll be flexible, you won’t have to wait for others and you’ll be able to explore the area and discover the prettiest bays at your own pace. If you’ve already reserved the vehicle online, the transaction at the desk will be super quick. Just don’t forget that the one who provides their credit card during the booking is normally considered the driver. Before you depart, you should also check that you have your driver’s licence with you – otherwise you won’t be going anywhere! If your rental car isn’t parked directly at the airport you’ll be able to take a shuttle bus to the right car park. If you don’t feel completely secure driving on foreign roads and you’re wondering if the traffic here will be completely hectic then you can relax a little – the Portuguese are actually very relaxed people! You’ll hear almost no-one honking their horns and inadvertent mistakes are often acknowledged with a sly wink. The only ones who drive a little too hectically are the tourists actually! Just get your stuff in the boot, stick on a pair of sunglasses and away you go! In the Algarve region you’ll find really cute little villages and towns that you definitely have to visit. If your hotel is in the popular resort of Albufeira, you can go on excursions to the east as well as the west. The small city of Albufeira is 46km west of Faro and it’s the perfect place to party and enjoy life to the full. This is the place to be for party lovers! You’ll be able to slurp on cocktails and dance to your heart’s content in stylish bars and even the beach! Since the resort is popular with Brits you’ll also find plenty of pubs alongside all the bars and clubs where you can grab a cool pint or two. Roughly translated, Albufeira means “Castle of the sea” and the Old Town really does make you feel like you’ve taken a step back in time in some places. There’s actually not that much left of the former fortress, but thanks to the narrow streets and the slightly rugged houses you still get a really romantic atmosphere here, something which is never tarnished even by the many tourists who come here. While the lower town is normally reserved for tourists, locals tend to live in the upper town in their whitewashed houses. You’ll also find plenty of churches here which you just have to see from the inside. When you’re driving out from the city, you’ll pass through some of the most beautiful orange and lemon orchards you’ll ever see. Apricot and mulberry trees are also found here – you should definitely try the latter as they aren’t so commonly found at home! The next town that’s worth seeing is Lagos. As a former seafaring nation, most of Portugal’s coastal cities are culturally diverse – Lagos in particular. You’ll find influences from all sorts of cultures and epochs in the Old Town. 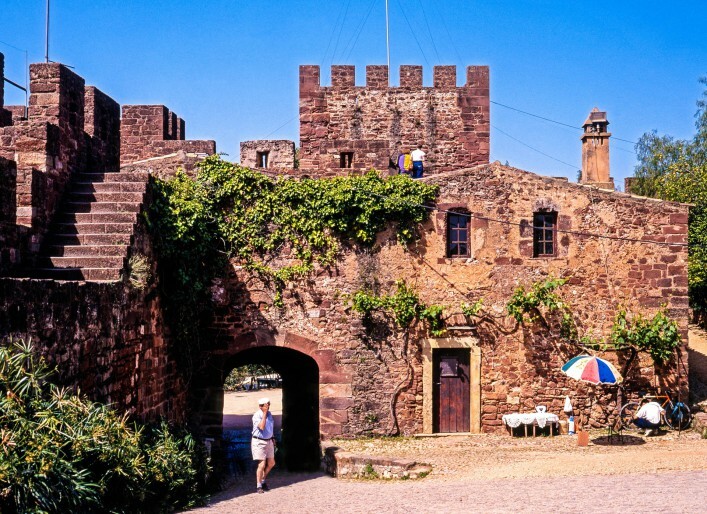 Look out for the old city gate of Porta de São Gonçalo, or visit the Ponta da Bandeira fort, from which the Portuguese were able to defend the harbour against attackers. There’s a small museum where you’ll be able to learn more about the town’s history – but even those of you who are looking to take some pretty pictures will also get their money’s worth here. Both the defences and the historic Old Town are worth looking at. You’ll find slightly shabby houses (that are just so typical of Portugal) and charming, small cafés and bars. Be sure to get some freshly caught sardines at lunch and just enjoy life! Faro counts as the capital of the Algarve. If you’ve always been interested in Roman history then you’ll love it here as the Roman lyceum really shows how much influence the Romans had in Portugal. If you look around a bit, you’ll be bound to stumble upon more old aqueducts and bridges. 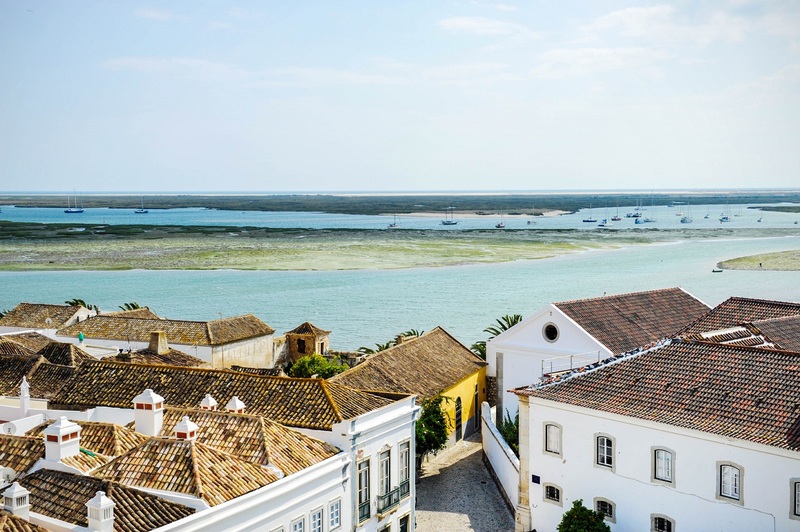 Faro’s harbour was already a major one by 500AD, and if you take a walk along the promenade you’ll be able to enjoy wonderful views of the beautifully restored buildings. All three districts of the historic Old Town are just begging to be explored. Just walk anywhere and you’ll be sure to find small squares and parks that look incredibly inviting. 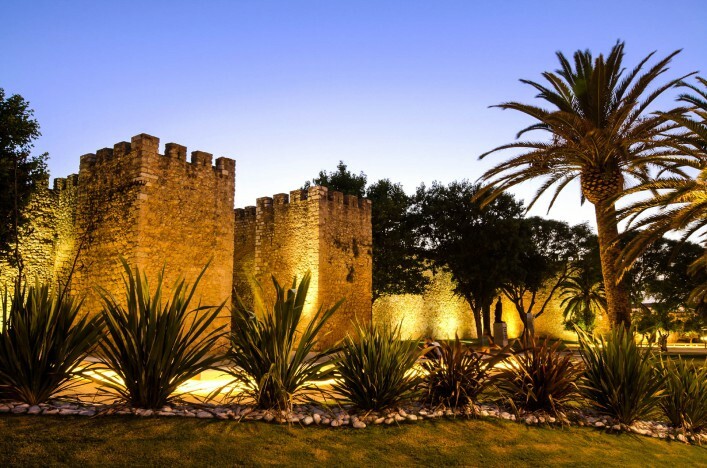 In case you’re looking for a fix of culture, then you can always visit the Bishop’s Palace Paco Episcopal or the baroque city palace Solar do Capitão-Mor. It’s here where you’ll find those famous blue glazed tiles, or azulejos as they’re known. 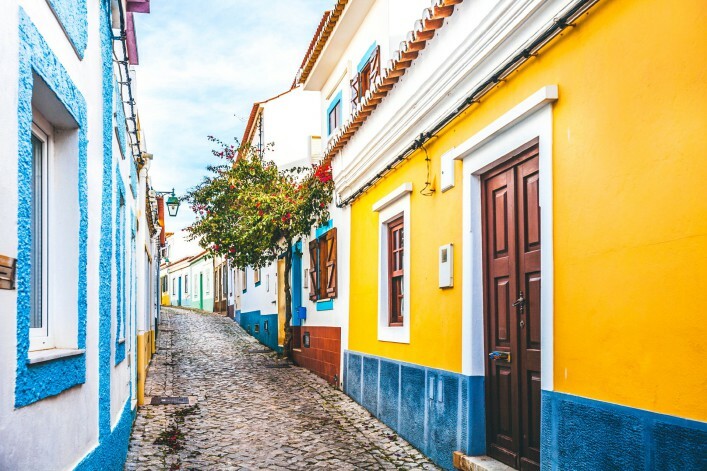 The Portuguese also use them for the exterior walls of their houses, so chances are you’ll find a house that looks completely blue at first glance. As a university town you can imagine that the nightlife in Faro is really vibrant. Unlike Albufeira you’ll more than likely be able to party alongside Portuguese students and avoid large crowds of tourists. It’s not just the coastal cities that are worth a visit – the hilly regions of the hinterlands are too. If you’re doing a round trip by car and want a break from the wheel every now and then you can go for a boat tour along the Guadiana River which runs along the Spanish border. You’ll be pleasantly sailing up the river for two hours, before reaching a small village on the Portuguese side. Once there you can pop in to one of the local restaurants or explore the area a little more closely. Along the way you’ll stumble upon the remains of Roman or Moorish influences time and time again. What could be more relaxing then boat trip as you lean against the railings and admire the diverse scenery? In the hinterland the tradition of cork oaks still remains. People sell corks here to all over the world – if you buy a bottle of wine and it has a proper cork, chances are it most likely came from the Algarve. That way you’ll always have a nice reminder of your trip when you’re at home! If you’re still wanting to explore the Algarve by car away from the coast, then I really recommend driving up towards Silves. Tourists rarely come to this area. You’re best taking a picnic with you, as you’ll more than likely come here feeling a little peckish while the locals are having a siesta. As you can see it’s not just Spain who does this – the Portuguese need a break from the sweltering temperatures too! In this region you’ll soon see that the money from Lisbon is invested in the coastal towns. Everything runs a little slower inland. If you sit down on a crumbling wall on the side of the street and watch the carts roll by, you’ll feel like you’ve taken a step back in time. Enjoy these moments before you head back to your lively hotel complexes! You’ll find the best beaches with optimal conditions for surfing on the somewhat more rugged west coast. Here on these broad beaches there are raw seas and high waves. On the Atlantic Side is the first very popular beach. Located directly in front of the town of Odeceixe, the Praia de Odeceixe Mar has evolved into a popular surfing spot. Visitors need to exit the N120 road towards a nature reserve to reach the beach. The effort is worth it, because when you’re there you’ll find the best surfing conditions awaiting you there. Another beach I really recommend is Paraia da Arrifana, located towards the south. Even when looking at the beach on Google Maps you’ll be able to see the big waves! Simply exit the N120 onto M1003-1 towards Praia da Arrifana. Very close to the westernmost part of Europe – Cabo de São Vincente – is the next surfers’ paradise: the beach of Carrapeteira. Surfing here is particularly fun at dawn and towards sunset. If you’re staying close by, you should definitely set your alarm and head here for sunrise. It’s the perfect opportunity to be snapping some photos for your living room wall, or even your Facebook cover photo! If you’re still feeling awake afterwards, then you can use the chance to head to Cabo de São Vincente. Use the early morning when there are only a few tourists there. Towards the early afternoon the coaches start arriving, bringing with them all the tourists who want to see Europe’s westernmost point. The only thing separating you here from the New World is the Atlantic. Just imagine how the Portuguese must’ve felt when Christopher Columbus sailed by on his voyage to the west! The Portuguese are rightly proud of their glorious history as a seafaring nation. Gorgeous beaches and hidden bays are strewn across the entirety of the southern coast. What this means for you is that you can just pack some things in the car and go and explore! Whether you’re travelling west or east, you’ll definitely stumble across a pretty beach somewhere. The beaches in the east between Albufeira and Portimão are particularly suited for families, since they’re wide and there’s a nice, gentle slope into the sea. You can build the perfect sandcastles here and play a little bit of football or beach volleyball with the kids. However there’s nothing that beats the many small and partly untouched bays west of Faro. While it’s not an insiders’ tip (but still worth seeing nonetheless), Praia da Marinha is protected by rugged cliffs and even in winter you’ll be able to comfortably sunbathe here. Definitely bring your snorkelling gear with you, as there are always plenty of small fish and dolphins that make their way up into this wonderful bay. Drive towards Banagil and simply follow the signs to Praia da Marinha to get here. Praia do Tonel is located beneath Cabo de São Vincente and is popular amongst surfers and sunbathers alike. If you don’t fancy surfing, or having a doze or read for that matter, you can always watch the surfers as they ride the waves. Before going swimming be sure to have a look at the coastguards’ flags. The currents and waves on this beach are quite strong and seeing as there are sharp rocks in the sea you might have an unpleasant bump. 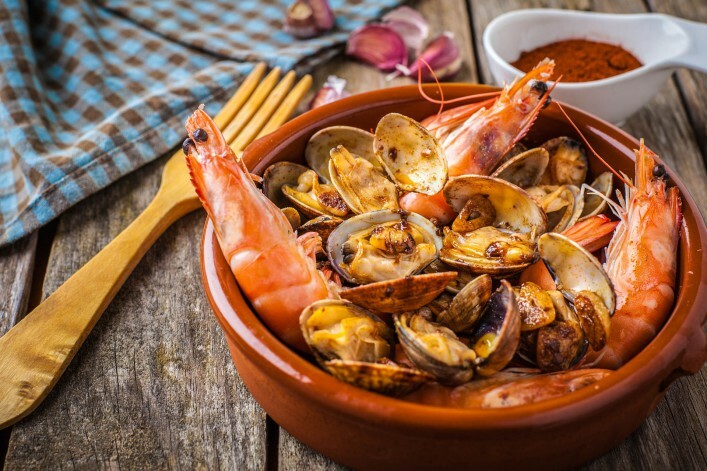 Last but not least I’d like to really urge you to try the many delicacies that the Algarve has to offer! The first one I want to really recommend are the locally-grown lemons, oranges and mulberries – what could be better than ripe fruit that only had to travel a few kilometres after being harvested? The region is a paradise for tropical fruit, but you should definitely give the fresh almonds or passion fruit a try too. In every town I’ve mentioned up until now you’ll find regional weekly markets where you can buy great fruit for next to nothing. This way there’s nothing in the way of you and an awesome picnic on the beach! If you’re planning a romantic picnic at sunset then definitely buy some of the hearty pastries which you can get at the local bakeries – along with a glass of beautiful Portuguese red wine and you could say it doesn’t really get much better than that! In the Algarve there are vineyards in Tavira, Albufeira and Lagos which are definitely worth visiting. A city that's not to be missed!